I just discussed again the genetic sweep that apparently has happened in Europe after the Neolithic strongly favoring the selection of alleles that allow the digestion of lactose (the sugar present in milk and often in other dairies) by adults. However our knowledge of ancient European genetics is probably not sufficient (nor that of lactose tolerance genetics) and in any case the question remains, where did those lactase persistence (LP) alleles come from if all ancient Neolithic remains test negative? The appearance of farming, from its inception in the Near East around 12 000 years ago, finally reached the northwestern extremes of Europe by the fourth millennium BC or shortly thereafter. Various models have been invoked to explain the Neolithization of northern Europe; however, resolving these different scenarios has proved problematic due to poor faunal preservation and the lack of specificity achievable for commonly applied proxies. Here, we present new multi-proxy evidence, which qualitatively and quantitatively maps subsistence change in the northeast Atlantic archipelagos from the Late Mesolithic into the Neolithic and beyond. A model involving significant retention of hunter–gatherer–fisher influences was tested against one of the dominant adoptions of farming using a novel suite of lipid biomarkers, including dihydroxy fatty acids, ω-(o-alkylphenyl)alkanoic acids and stable carbon isotope signatures of individual fatty acids preserved in cooking vessels. These new findings, together with archaeozoological and human skeletal collagen bulk stable carbon isotope proxies, unequivocally confirm rejection of marine resources by early farmers coinciding with the adoption of intensive dairy farming. This pattern of Neolithization contrasts markedly to that occurring contemporaneously in the Baltic, suggesting that geographically distinct ecological and cultural influences dictated the evolution of subsistence practices at this critical phase of European prehistory. Not only fish consumption was pretty much abandoned in Britain and Ireland with the arrival of Neolithic (only recovered under Viking influence many millennia later) but the most striking fact is that it was replaced by milk as main source of proteins. This fact, considering that farmers studied in Central Europe and Iberia have systematically tested negative for lactase persistence, really opens an avenue for the possible origins of this nutritional adaptation because it is most unlikely that they were such notable dairy consumers without the corresponding digestive ability (even cheese may be harmful to lactose intolerant people unless it is aged, while yogurt was almost certainly not known yet in Europe). While the evidence comes from the Atlantic Islands, it is worth to notice that their chronologically late Neolithic has its origins in the much older agricultural cultures of NW France, another blank spot in the ancient DNA map of Europe. Nowadays NW France is high but not particularly high in this phenotype but SW France and Basques have among the highest LP scores (both phenotype and rs4988235(T) genotype) in Europe, together with the Atlantic Islands and Scandinavia. Then again it is worth recalling that one of the first areas where the rs4988235(T) allele is found is in the southern areas of the Basque Country, with clear signs of two different populations (one lactose tolerant and the other lactose intolerant) being still in the first stages of contact and mostly unmixed. This leads us to the issue of Atlantic Megalithism (tightly associated to Atlantic Neolithic) and its still unsolved, but likely important, role in the conformation of the modern populations of Europe. from modern reference terrestrial species from the UK  and aquatic species from North Atlantic waters . (g–i) Maps show the frequency of dairy fats in residues from Neolithic pottery from (g) Early Neolithic, (h) the Middle Neolithic/Secondary expansion and (i) Late Neolithic. Additional data from isotopic analysis of residues from Neolithic southern Britain (n = 152) and Scotland (n = 104) are included [19,20]. The data of this study also suggests that the so much hyped high-meat “Paleolithic diet” is more of a Late Neolithic (Chalcolithic) thing, with the real hunter-gatherers of Europe being more into fish in fact. Correction: I wrongly reported the main European lactase persistence SNP as rs13910*T, when it is in fact rs4988235(T) (already corrected in the text above) This was caused by the nomenclature used in the Sverrisdóttir paper, where it refers to it as -13910*T, which must be some other sort of naming convention. Thanks to Can for noticing. The “calcium absorption” hypothesis has been proposed as hypothetical mechanism to explain the apparent genetic sweep of lactose persistence alleles in Europe. According to this hypothesis, the possible role of milk in improved calcium absorption would counter the poor vitamin D synthesis in Northern Europe, preventing rickets. However this hypothesis seems very weak, as I explained recently, notably because bone formation is only one of the various roles of vitamin D and it is probably much more crucial in correct brain development in childhood. Also there is another clear adaptation that actually solves the problem very well: whiter skin able to much more efficiently produce vitamin D in our bodies surfaces by mere exposition to sunlight, a trait that seems to have been increasingly favored after the Neolithic drop in fish consumption (the only actual nutritional source of vitamin D at relevant doses). This new paper confirms my skepticism. Lactase persistence (LP) is a genetically determined trait whereby the enzyme lactase is expressed throughout adult life. Lactase is necessary for the digestion of lactose – the main carbohydrate in milk – and its production is down-regulated after the weaning period in most humans and all other mammals studied. Several sources of evidence indicate that LP has evolved independently, in different parts of the world over the last 10,000 years, and has been subject to strong natural selection in dairying populations. In Europeans LP is strongly associated with, and probably caused by, a single C to T mutation 13,910bp upstream of the lactase (LCT) gene (-13,910*T). Despite a considerable body of research, the reasons why LP should provide such a strong selective advantage remains poorly understood. In this study we examine one of the most widely cited hypotheses for selection on LP – that fresh milk consumption supplements the poor vitamin D and calcium status of northern Europe’s early farmers (the calcium assimilation hypothesis). We do this by testing for natural selection on -13,910*T using ancient DNA data from the skeletal remains of eight late Neolithic Iberian individuals, whom we would not expect to have poor vitamin D and calcium status because of relatively high incident UVB-light levels. None of the 8 samples successfully typed in the study had the derived T-allele. In addition, we reanalyse published data from French Neolithic remains to both test for population continuity and further examine the evolution of LP in the region. Using simulations that accommodate genetic drift, natural selection, uncertainty in calibrated radiocarbon dates, and sampling error, we find that natural selection is still required to explain the observed increase in allele frequency. We conclude that the calcium assimilation hypothesis is insufficient to explain the spread of lactase persistence in Europe. It thus seems likely that population turnover since or shortly after the Neolithic transition has been less severe in southwestern Europe than in central or northern Europe. However these ancient populations were lactose intolerant (rs4988235(C)) while modern ones in Northern Iberia are massively able to digest lactose (rs4988235(T)). This supports the theory of adaptive sweep for this allele. They suspect that the real reason behind the lactose persistence sweep is caused by basic nutritional reasons (calories and proteins) because milk may have been less subject to fluctuations in crops (traditionally cattle ate grass and not cereals, as happens in modern industrial production, while goats have even more varied natural food sources). In such circumstances episodic famines would have strongly favored lactose tolerant phenotypes, more so if lactose intolerant people would have drank milk or ate high-lactose dairies in desperation, causing them potentially deadly diarrhea. This is not the same but fits well with my class structure hypothesis, outlined recently. The main reason why I favor this hypothesis is that this generalizing pattern should have affected farmers since very early in the Neolithic, even when they were still living in Asia or Greece, so it is very strange that the genetic sweep only appears since or after the Chalcolithic period, when a hierarchical class society is formed everywhere. -13910*T, which must be some other sort of naming convention. Thanks to Can for noticing. Is the ability to digest milk in Europeans caused by ancient social inequality? I’ve got involved these days in a discussion at Dienekes’ Anthropology Blog on the causes of lactase persistance (LP), i.e. the ability to digest milk as adults, in Europe. The discussion orbits around a recent pay-per-view study by O.O. Sverrisdóttir, which claims, with some soundness for what I can discern, that LP in Europeans must have gone through positive selection. Actually the study, as most of its kind, deals only with one LP marker, the well known SNP rs4988235, whose T variant allows adults (in dominant fashion) to digest milk, an ability often lost after weaning. In Europe at least, it essentially corresponds with the T variant of rs49235, which concentrates in Scandinavia, Atlantic Islands and the Basque/SW French area. At first I boarded the discussion with perplexity, because, even if the positive selection argument seems sound, it seems hard to find a reason for it: milk is not such a “great” source of food, excepting the issue of calcium and a high content of protein and fat, and the occasional claims that it is related to vitamin D deficiency seem extremely feeble because this vitamin is present at extremely low frequencies in natural milk, being rickets (where milk’s extra calcium could play some role) only a “less important” side effect of vitamin D deficiency, because its main harmful effect is to impair early brain development, a most serious problem for which calcium seems quite meaningless. So why would the ability to digest milk would have become such a matter of life or death to be actively selected for generation after generation until near-fixation? In San Juan Ante Porta Latinam (SJAPL, Araba, dated to c. 5000 BP), 4/19 were TT, 2/19 were CT, while the remaining 13 were CC. In the Basque cases we can appreciate that there must have already been two different populations regarding this SNP, because the CT cases are rare, implying that the two groups were only beginning to mix. It is worth mentioning that the Basque sites are odd in several aspects: on one side they seem to be military cemeteries (mostly males, arrow injuries and arrow points) and, on the other, they are rather exceptional in the Basque historical sequence of mtDNA pools (a lot more K and some other lineages than usual, less H and U). But a key finding in this study is that a Neolithic sequence from Atapuerca (near Burgos city, historical Basque SW border) was again CC for the relevant SNP (and therefore likely lactose intolerant). 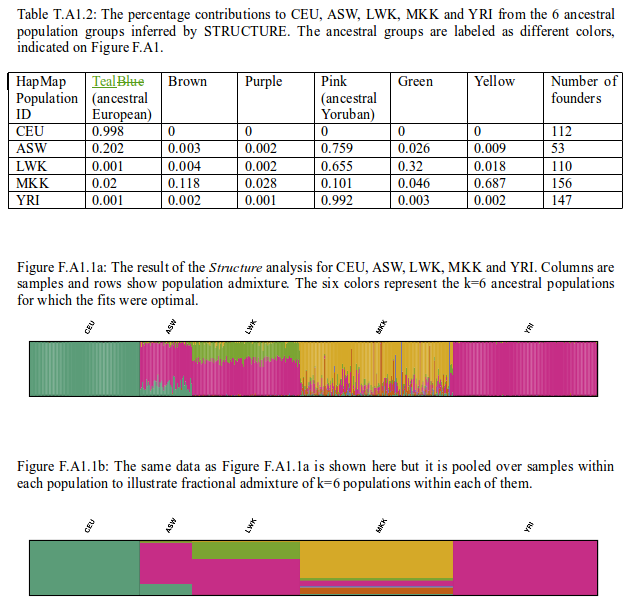 So it is very possible that proto-Basques did not have the T allele in notable frequencies either (although I keep some reservations for lack of larger samples). Whatever the case, if the T allele was selected positively as it seems, there must be a powerful reason for it. Was it cows, as some have claimed a bit too vehemently? I doubt it. Why? Because for all we know from the Middle Ages, a period very similar in many aspects to the Metal Ages, it were goats and not cows the main providers of milk. This makes total sense because the hardy goats are rather inexpensive to rear, while cows are more costly and were often reserved for traction jobs. In most cases, cow produce, be it milk or meat, was an expensive luxury apt only for the upper echelons of a society that was becoming more and more hierarchical and unequal since precisely the Chalcolithic period. Some oral accounts I have heard tell that not so long ago “acorn bread and goat milk” were often staple for the poor. In other areas maybe it was not acorn bread but, say, oat meal (or whatever else), but almost certainly the milk came almost invariably from goat udders, which very efficiently transform leaves and almost any vegetable, even thorny ones, into milk (and meat) for our consumption. It is crucial to understand that only if milk was a key survival staple, LP would have become fixated. Otherwise people would have preferred alternative foods and survived in similar shape, so positive selection would never have happened at this locus (non-LP individuals would have survived easily, selection would never have happened or would have been mild enough to retain much greater diversity). It is also crucial to understand that, for all we know, this positive selection only happened since the Chalcolithic, i.e. when social stratification, inequality and private aristocratic property became common. Obviously the upper classes (or castes) had no problems accessing high quality foods, including meat, but the masses probably had growing problems in this aspect as the land and cattle became more and more concentrated in few hands. Even where a wide class of free peasants existed, as was probably the case in much of Atlantic Europe, these were surely often not well-off enough to afford dairy cows. Instead goats would have been available for almost everybody, even the poorest of farmers. And very likely they were the only steady supply of proteins and fat, mostly via milk. Plausibly this need of extra nutrients of animal origin was more intense in the Atlantic areas of Europe because cereals do not perform so well in the prevalent humid conditions. Also before the medieval development of the heavy plough, the deep Atlantic soils were not at all as productive as they are now (and that’s why NW Europe only got its economic prominence in the last millennium, being before a peripheral area to the much more productive Mediterranean climate). But climatic and agricultural issues aside, I strongly suspect that the main driver of LP positive selection, were goats, because these and their dairy produce were almost certainly available for almost everyone and, in the Metal Ages, the vast majority of people were farmers, often rather poor peasants who had to rely on their goats for survival, very especially in the bad times. I really do not see any other explanation that fits the data. PS- This social inequality & goats argument makes sense assuming that the positive selection theory is correct. However before I fully embrace it, I would need a half-decent sample of aDNA sequences from the Atlantic areas of Europe, notably Britain & Ireland, the Basque Country & SW France and mainland Scandinavia, where the T allele peaks. I say because what we find in some Chalcolithic sites, notably in the Basque Country, rather strongly suggests that there was already a TT population somewhere and we have not yet found it. So maybe some of the premises of the positive selection theory are not as sound as I said above – but we do not know yet. 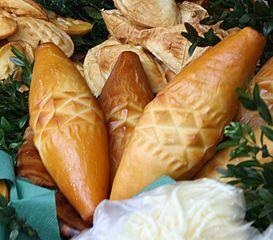 Was the first ever cheese from Poland? While today it is maybe France the most famed cheese-making and cheese-eating region on Earth*, we knew very little about cheese-making origins… until now. The introduction of dairying was a critical step in early agriculture, with milk products being rapidly adopted as a major component of the diets of prehistoric farmers and pottery-using late hunter-gatherers1, 2, 3, 4, 5. 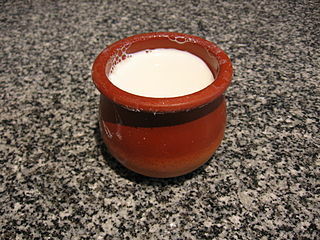 The processing of milk, particularly the production of cheese, would have been a critical development because it not only allowed the preservation of milk products in a non-perishable and transportable form, but also it made milk a more digestible commodity for early prehistoric farmers6, 7, 8, 9, 10. The finding of abundant milk residues in pottery vessels from seventh millennium sites from north-western Anatolia provided the earliest evidence of milk processing, although the exact practice could not be explicitly defined1. Notably, the discovery of potsherds pierced with small holes appear at early Neolithic sites in temperate Europe in the sixth millennium bc and have been interpreted typologically as ‘cheese-strainers’10, although a direct association with milk processing has not yet been demonstrated. Organic residues preserved in pottery vessels have provided direct evidence for early milk use in the Neolithic period in the Near East and south-eastern Europe, north Africa, Denmark and the British Isles, based on the δ13C and Δ13C values of the major fatty acids in milk1, 2, 3, 4. Here we apply the same approach to investigate the function of sieves/strainer vessels, providing direct chemical evidence for their use in milk processing. The presence of abundant milk fat in these specialized vessels, comparable in form to modern cheese strainers11, provides compelling evidence for the vessels having being used to separate fat-rich milk curds from the lactose-containing whey. This new evidence emphasizes the importance of pottery vessels in processing dairy products, particularly in the manufacture of reduced-lactose milk products among lactose-intolerant prehistoric farming communities6, 7. See also the related article by Niddhi Subamaran at Nature News and the one by Hanna Briggs at BBC News. The dating for the cheese-making artifacts (holed pots used to press curdled milk, discarding the whey, which is a preliminary step in cheese making) is of similar age as the arrival of Neolithic itself and the first evidences of dairying in Europe and Africa. So I guess that we can conclude that farming arrived to Europe, at least to Central and Northern Europe, together with cattle herding, dairying and cheese-making. While the potsherds are known to exist elsewhere in Central Europe, the ones analyzed for this paper are specifically from Cuyavia, Poland, which used to be the most Northeastern offshoot of the Danubian Neolithic. Just one weak caveat. While Richard Evershed (in the BBC article) asks rhetorically what other milk product could it be? This question is not as trivial as it may look on first sight because there is indeed another such milk product: the cuajada (Spanish name) or mamia (Basque name) which is nothing else but the preliminary product of cheese making (curdled milk) and a much coveted delicatessen when properly made. But, well, I guess it can be considered a form of cheese… more or less. Also real fully-processed cheese achieves a further purpose: to preserve milk (or rather key parts of it) for delayed consumption and easier transport. * Actually Greeks eat quite more cheese per capita than the French, but they are the only ones. The Maasai are a pastoral people in Kenya and Tanzania, whose traditional diet of milk, blood and meat is rich in lactose, fat and cholesterol. In spite of this, they have low levels of blood cholesterol, and seldom suffer from gallstones or cardiac diseases. 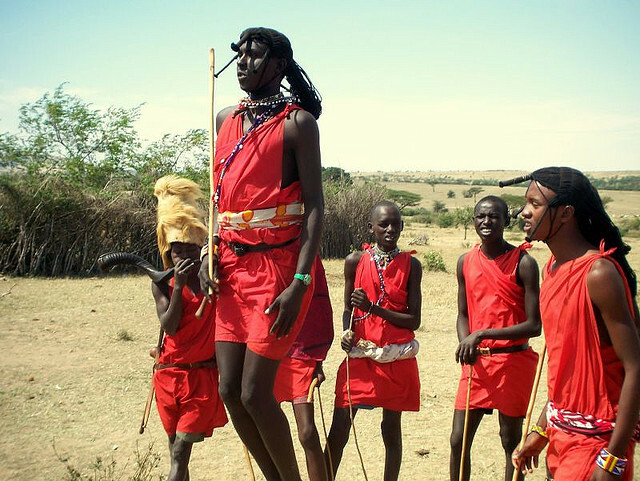 Field studies in the 1970s suggested that the Maasai have a genetic adaptation for cholesterol homeostasis. Analysis of HapMap 3 data using Fixation Index (Fst) and two metrics of haplotype diversity: the integrated Haplotype Score (iHS) and the Cross Population Extended Haplotype Homozygosity (XP-EHH), identified genomic regions and single nucleotide polymorphisms (SNPs) as strong candidates for recent selection for lactase persistence and cholesterol regulation in 143–156 founder individuals from the Maasai population in Kinyawa, Kenya (MKK). The non-synonmous SNP with the highest genome-wide Fst was the TC polymorphism at rs2241883 in Fatty Acid Binding Protein 1(FABP1), known to reduce low density lipoprotein and tri-glyceride levels in Europeans. The strongest signal identified by all three metrics was a 1.7 Mb region on Chr2q21. This region contains the genes LCT (Lactase) and MCM6 (Minichromosome Maintenance Complex Component) involved in lactase persistence, and the gene Rab3GAP1 (Rab3 GTPase-activating Protein Catalytic Subunit), which contains polymorphisms associated with total cholesterol levels in a genome-wide association study of >100,000 individuals of European ancestry. Sanger sequencing of DNA from six MKK samples showed that the GC-14010 polymorphism in the MCM6 gene, known to be associated with lactase persistence in Africans, is segregating in MKK at high frequency (~58%). The Cytochrome P450 Family 3 Subfamily A (CYP3A) cluster of genes, involved in cholesterol metabolism, was identified by Fst and iHS as candidate loci under selection. Overall, our study identified several specific genomic regions under selection in the Maasai which contain polymorphisms in genes associated with lactase persistence and cholesterol regulation. The study actually has two elements of interest for my point of view, on one side it is the dietary aspects of Maasai genetics underlined in the title and the abstract but then there is a more generic element of understanding the relevant population genetics with the help of STRUCTURE, reflected in fig. 1 but better addressed in the supplemental materials (Appendix S1). We can see that the influence of West Eurasian genetics (teal) appears to be almost nil in Africa, although the Maasai (MKK) have some (c. 2%), probably infiltrated via Ethiopia, Somalia or Sudan. West African genetics (pink) are slightly more influential in the Maasai but only c. 10%. The yellow component is almost exclusive of the Maasai (69%), with some very minor penetration in other populations. The green component is more outstanding among the Luhya (32%), reaching barely 5% among the Maasai. The brown component is again almost exclusive of the Maasai (12%), with some individuals apparently displaying it as very dominant. Finally, the purple one is almost exclusive of the Maasai but at much lower frequecies (3%). However it is also dominant in a few individuals. The fact that the Maasai show obviously marked individual variance at levels not apparent in other populations, and that this variance includes some smaller “mystery” components, seems to mean that they are in ongoing or very recent admixture with other populations (maybe other Maasai clans of distinctive origin, maybe other pre-Bantu East African peoples). It indicates that there is still a lot to research in the Population genetics of East Africa, what requires of extensive new sampling among the many diverse small ethnicities of the Upper Nile and nearby regions. The other, more central aspect of this study is the localization of specific genomic regions or even alleles that guarantee that this pastoralist people can largely live off the milk produced by their cows and, quite interestingly, not to have circulatory problems because of the associated excess cholesterol. The first of these regions, in chromosome 2, seems particularly long and selected for both lactase persistence (the ability to digest lactose as adult) and low cholesterol, according to this paper. The region in chromosome 7 regulates the enzyme Cytochrome P450, related to oxidation processes in metabolism of lipids, steroids, drugs and toxins, probably also regulating cholesterol. Positive selection for arthritis and short-size alleles in Eurasia? 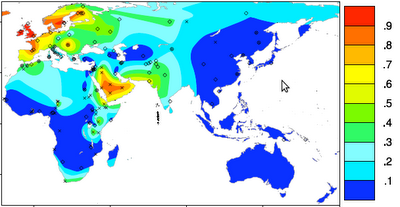 North African autosomal genetics (also considering the Maasai). I also recommedn Ethio Helix blog, generally quite informative in all things African and genetic. While the lactose tolerance allele may have some positive health effects, notably because milk is one of the few good dietary sources of calcium, it seems to correlate also with some negative effects, namely obesity. Canary Islands, in spite of its subtropical geography, is one of the regions of the European Union where milk is most consumed, at levels comparable to Scandinavia. Although there is a strong correlation between being lactose tolerant and milk consumption it is not fully clear yet if it is excess milk consumption what makes people obese or an unknown collateral effect of the European lactase persistence allele.